Some friends and I were meeting up for dinner the other night and we wanted to try someplace new. I heard that Soyombo Grille recently opened in Canton and I was craving some Asian noodles so I suggested it to my friends. The fact that Soyombo has a parking lot was an added bonus. We arrived around 6:30 on a Sunday evening and the place was empty which we found a little strange. After glancing over the menu we all thought the Build-a-Bowl option sounded awesome. You pick a base (rice, noodles, etc) and you pick a protein (fish, meat, chicken, tofu or pork) and then you load up the bowl with veggies, spices and a sauce. Someone who works there will help put the protein in your bowl. Each bowl comes three proteins so you have more than enough with each dish. 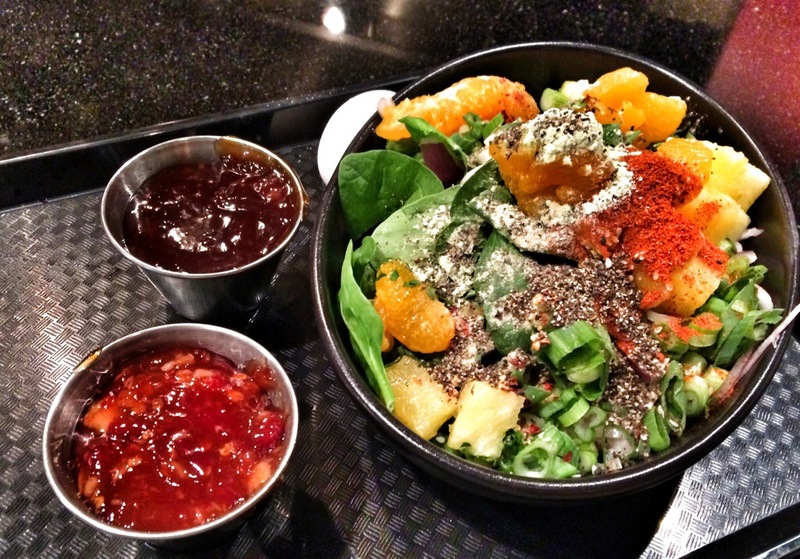 After you load your bowl up with a protein, you pick out your fruits and veggies. There’s celery, chopped onion, pineapple, mandarin oranges, water chestnuts and more. You get as many as you want and as much as you want of each. The pineapple was my favorite addition. Next you pick out some spices. I threw in some wasabi powder among other random things. 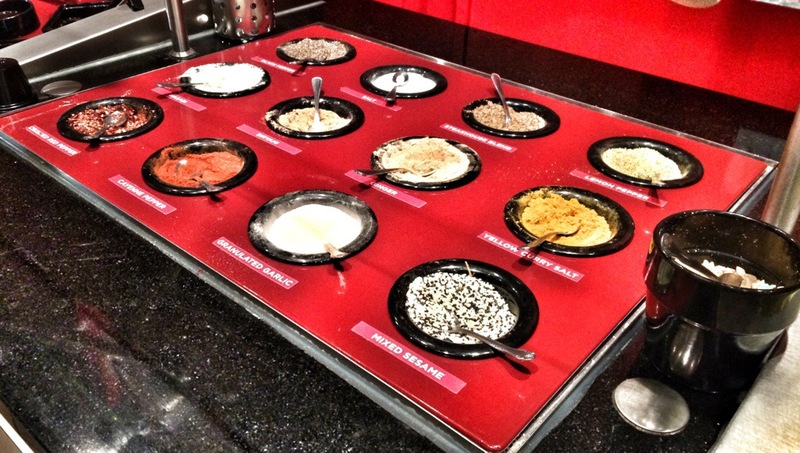 It’s not often I get access to a spice bar to season my food. Next time, I would put in less spicy elements because when it was time to eat the food, I was chugging water after every bite. 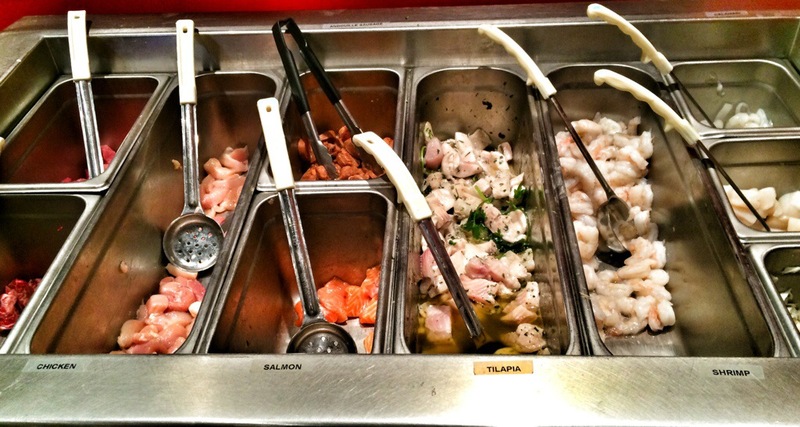 The final step for creating your own bowl is the Sauce Station. I mixed two sauces together because I couldn’t decide what I wanted but I ended up really liking it. 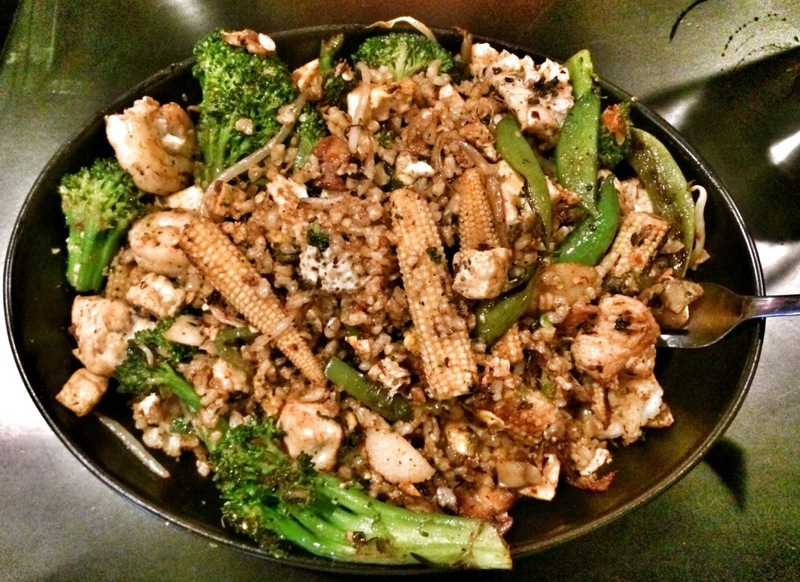 When you’ve finished mixing your crazy ingredients into the bowl, you drop it off to the chef for him to cook it, hibachi style. 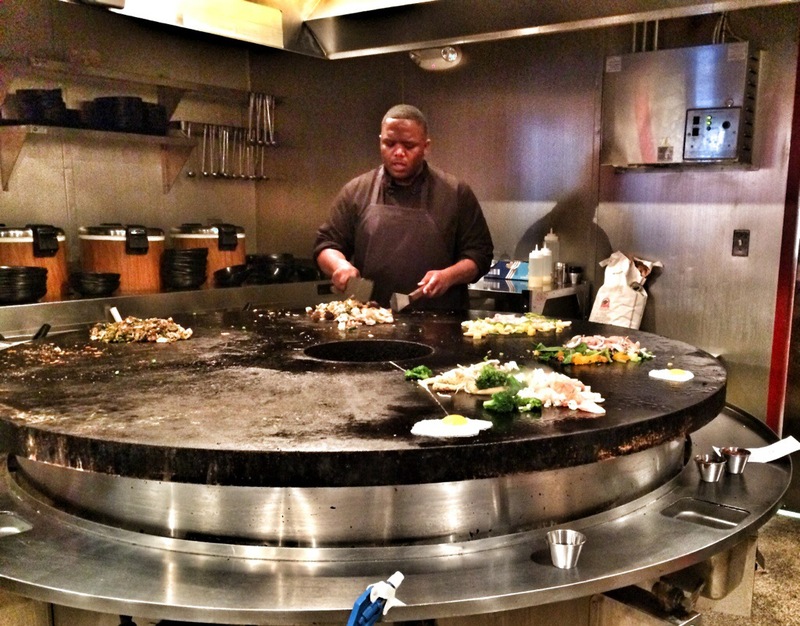 While your food is cooking, you can wait at your table and when it is ready the waiter will bring it to you. This is my bowl once it was completed. 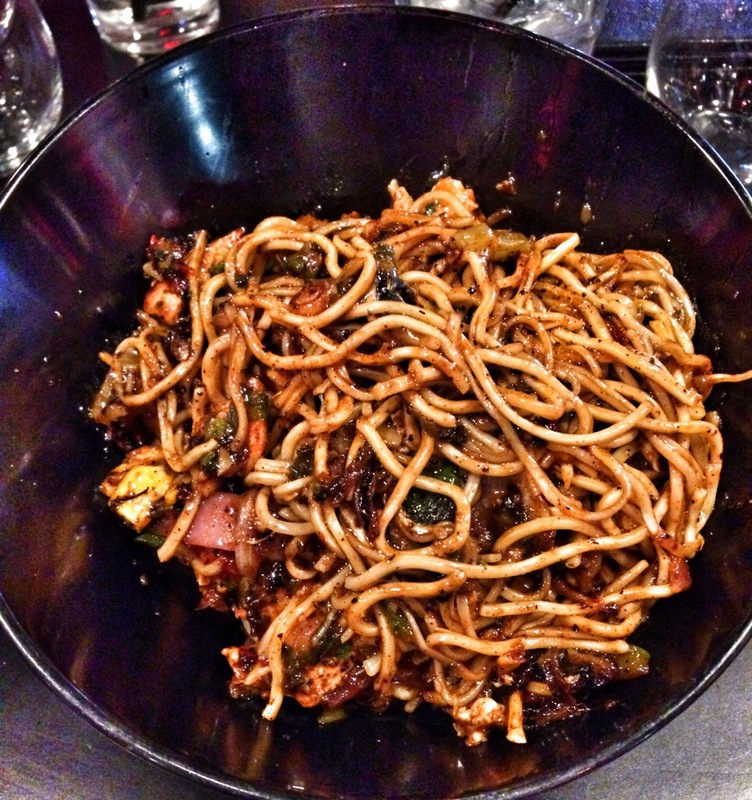 The base was soba noodles and the meat was chicken. Everything else was a random assortment of what I thought would taste good. 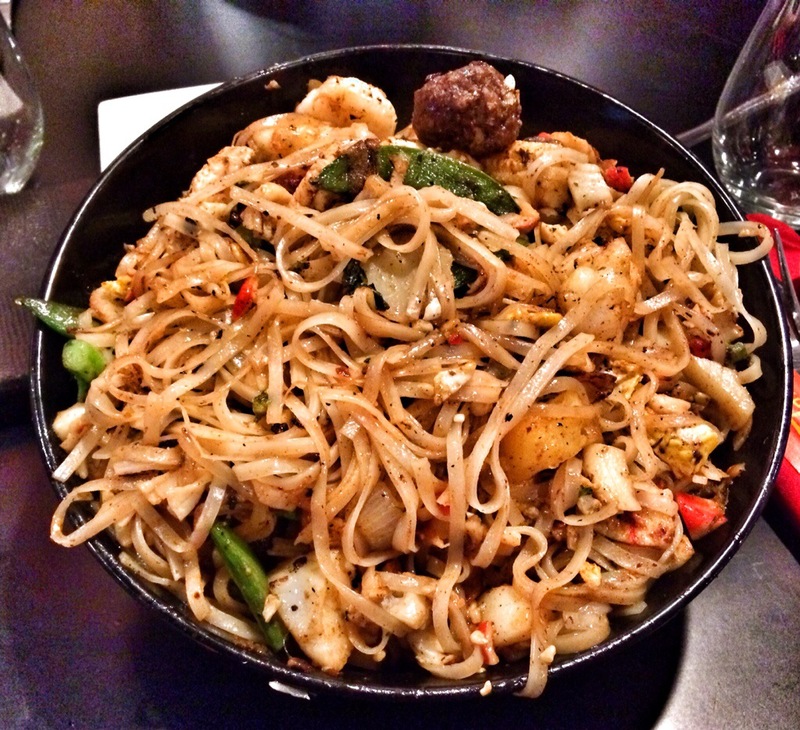 One friend had Pad Thai noodles with seafood mixed in. My other friend had fried rice and chicken in her bowl. And my last friend had rice, salmon and tilapia in her bowl. The build-a-bowl option is great for even the pickiest of eaters. With so many combinations it’s hard not to find something to love. Or to have something completely different every time you’re there. 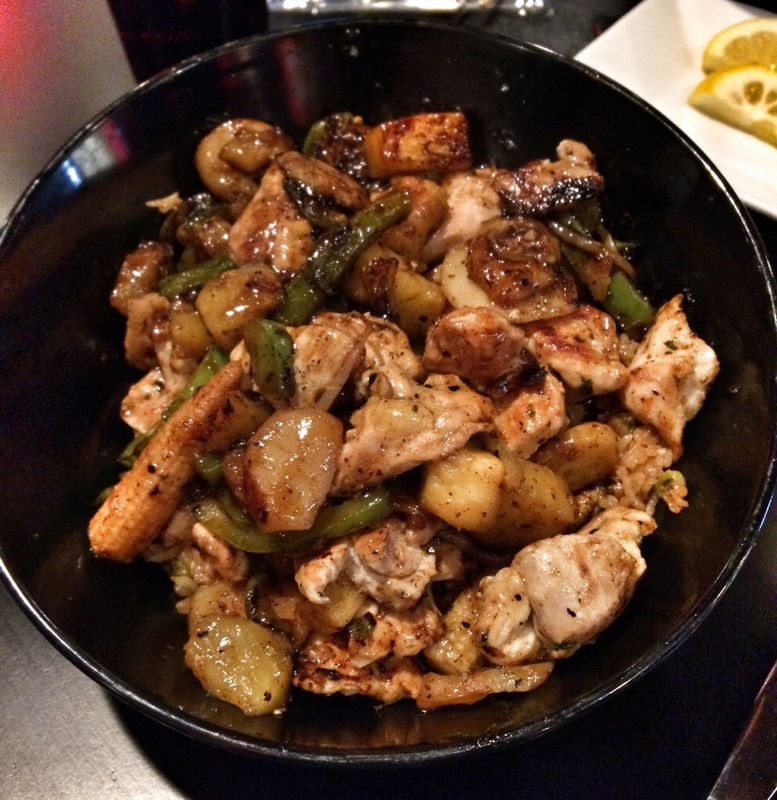 Soyombo Grille also offers a traditional menu if you’re not into creative food options. 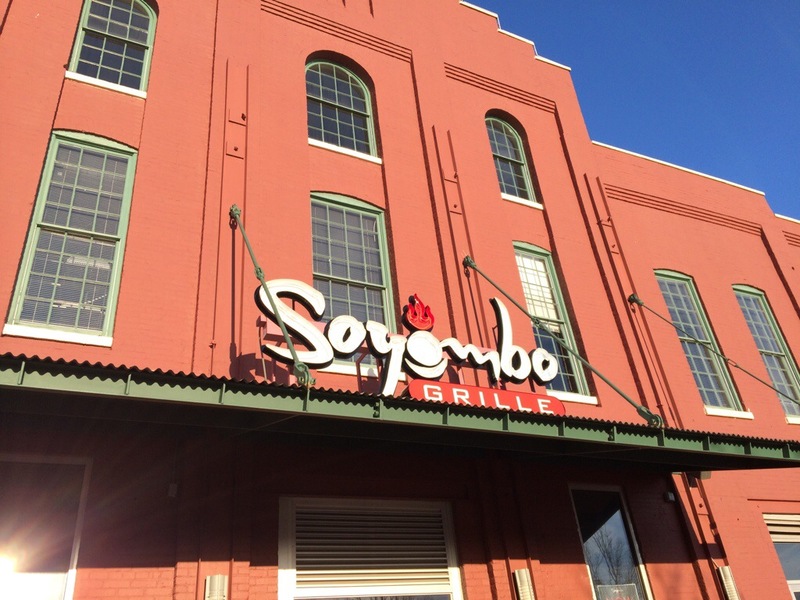 Soyombo Grille is located at 2400 Boston St. in Canton.